History: Man with ankle pain. 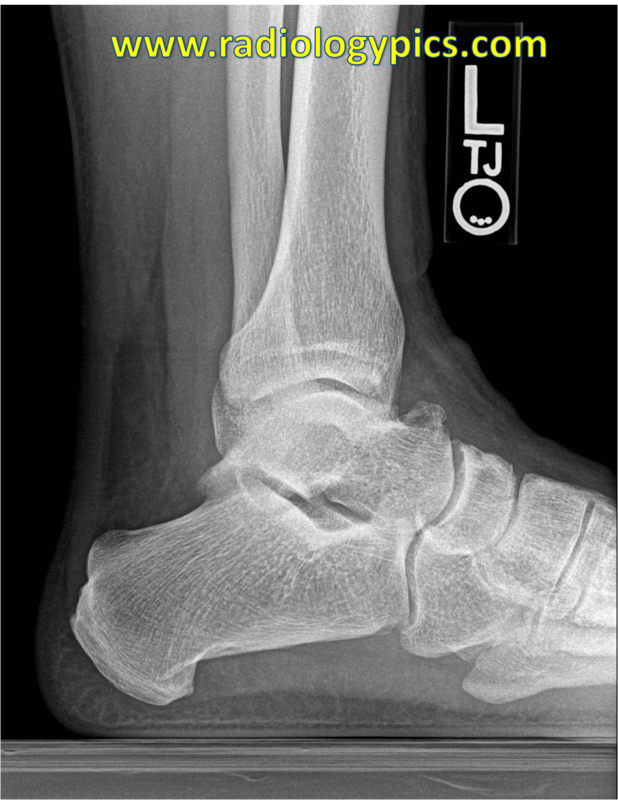 Lateral radiograph of the left ankle. What is the finding? What is the finding? Comment and share below! Find the answer to this case here.